Oleksiy Chekal. 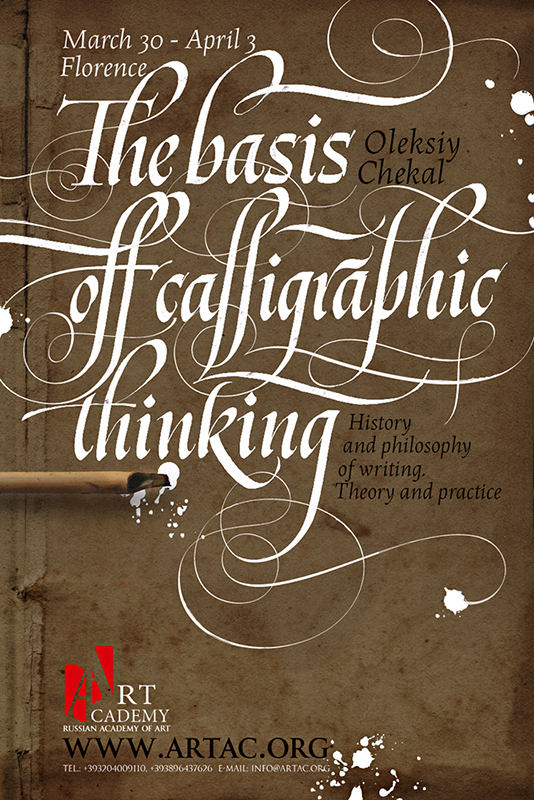 The bases of calligraphic thinking. History and philosophy of writing. Theory and practice. The bases of calligraphic thinking. General system of the flourish or dancing at the tip of a pen. Love and hatred between letters or weaving of wordage. Side by side or the power of crowd in the text. 1) What letters does virgil speak with? 3) How to weave letters and weave letters into wordage?